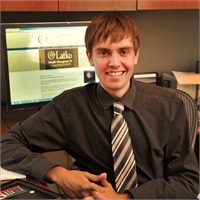 David W. Latko, Jr. | Latko Wealth Management, Ltd.
David W. Latko Jr. graduated from the prestigious Olivet Nazarene University, where he earned a double major in business administration and finance while also working as part of the Latko Wealth Management Team. His involvement with Latko Wealth Management, Ltd. began early in life, when he served several internships at the firm throughout his high school and college years in a carefully planned orientation and training program. Today, his immersion into advanced professional financial management is even more intensified at the firm. A four-year standout on his school’s golf team, he remains an avid golfer, amateur racecar driver, and athlete.